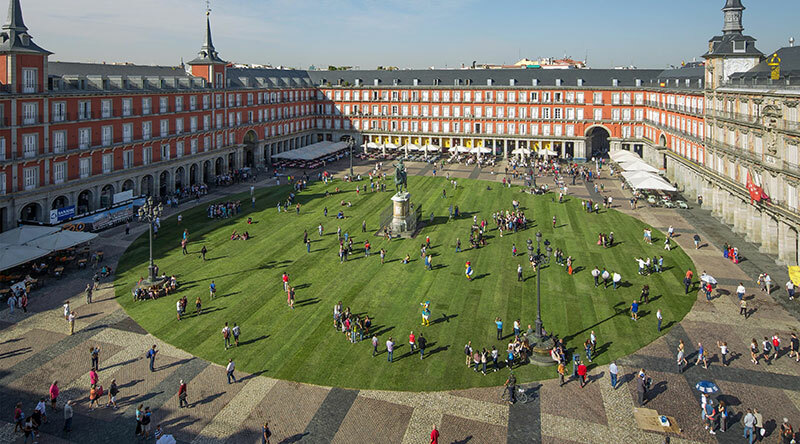 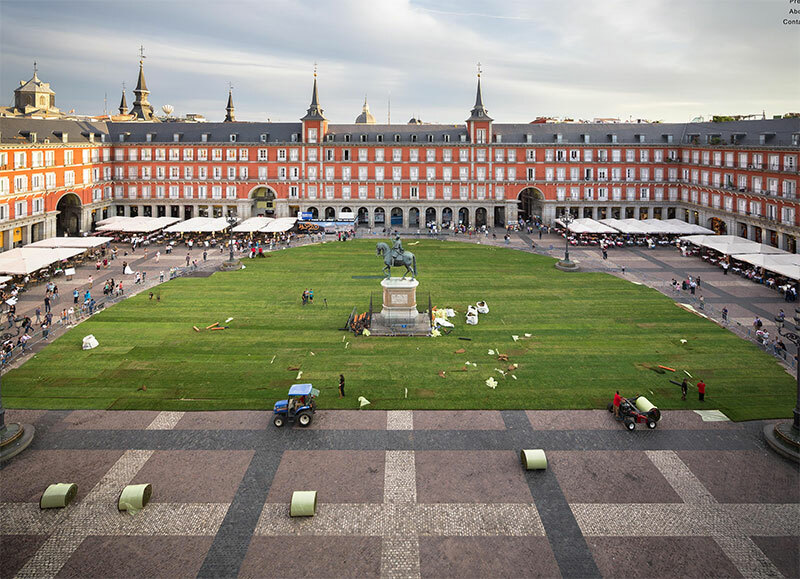 To mark the 400th anniversary of Madrid's Plaza Mayor, urban artist SpY has installed a circular swath of grass in the middle of the square spanning a total of 3,500 square meters. 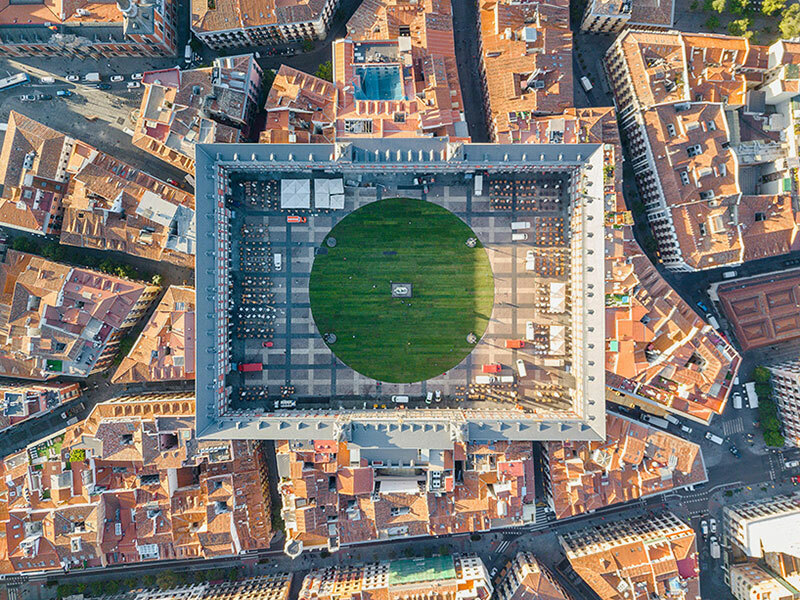 An aerial view sees the green dot stand in stark contrast to the orange tiles covering the roofs of buildings surrounding the square. 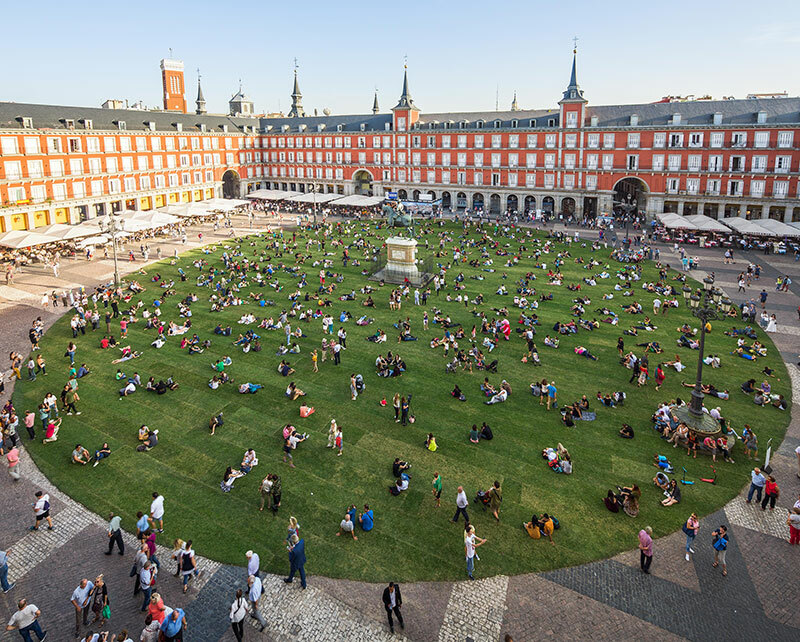 Usually, people move around and look at an installation but instead, more than 100,000 were compelled to sit, play, and enjoy the plaza like never before. 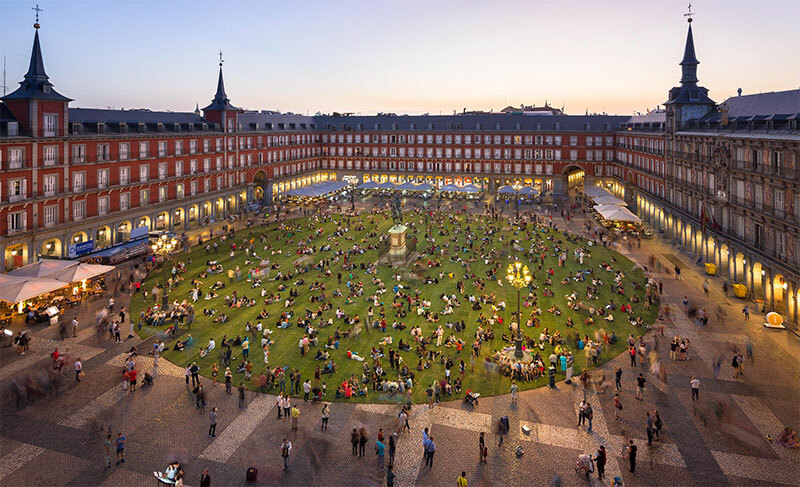 SpY sought to offer a kind of sanctuary for the many city inhabitants by changing the context of the square, where people meet and gather, to a place where they can relax by occupying the floor. 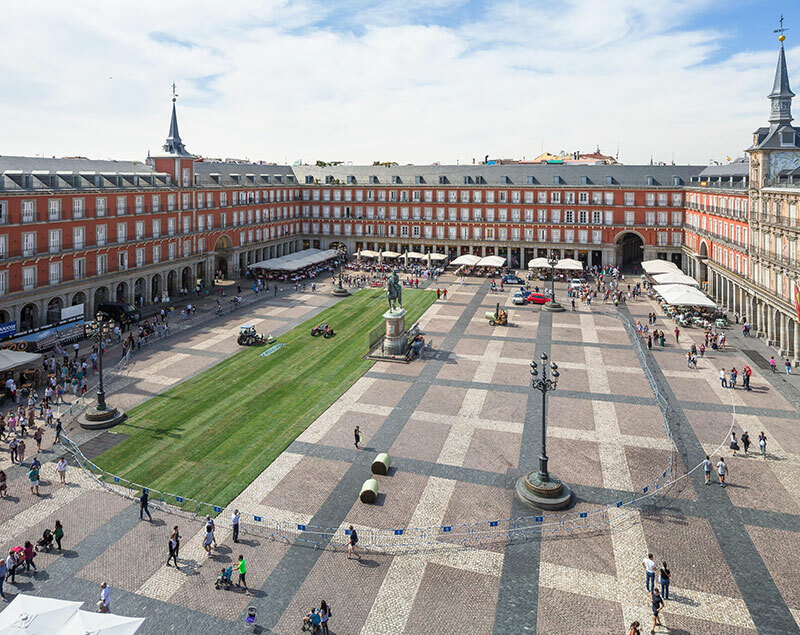 Photography by Rubén P. Bescós. 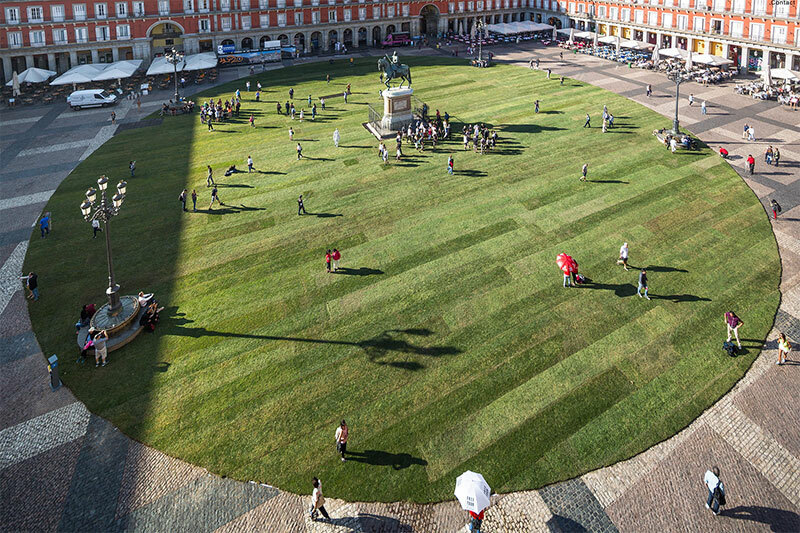 To mark the 400th anniversary of Madrid's Plaza Mayor, urban artist SpY has installed a circular swath of grass in the middle of the square spanning a total of 3,500 square meters.